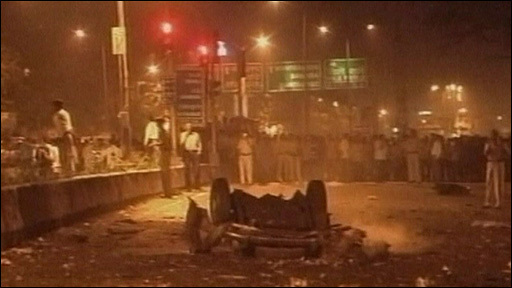 More than 100 people have been killed in a series of gun attacks in the Indian city of Mumbai. Police say terrorist gunmen opened fire at a number of sites, including two luxury hotels and a rail station. Local television captured the scene outside one hotel in the central business district of the city. Eyewitnesses and a local journalist spoke of the unfolding situation.